Regular Expanded Metal goes through a process of slitting and stretching metal sheet to form the standard or regular style of expanded metal. The expanded metal now has strands and intersecting strands called bonds forming a sharp angle to the original plane of the solid sheet. This process creates the unique pattern and allows a single sheet of metal to be processed into several sheets of expanded metal. AMICO’s expanded metal is versatile. You will find it used in almost any industrial or commercial application. Expanded metal permits excellent control of light and circulation of air. It also provides clear visibility in such applications as enclosures and machine guards. Expanded Metal is made from metal plates or sheets that are simultaneously slit and expanded in a cold forming process creating diamond shaped openings of uniform size and thickness. • Regular Expanded Metal is a finished product as it comes from the press. The strands and bonds are set in a uniform manner creating different size openings and thicknesses. 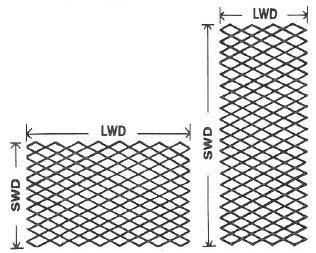 This regular or raised configuration gives added strength and rigidity as well as slip resistance to the mesh. • Flattened Expanded Metal is regular expanded metal which has been cold rolled leaving a flat, smooth surface. 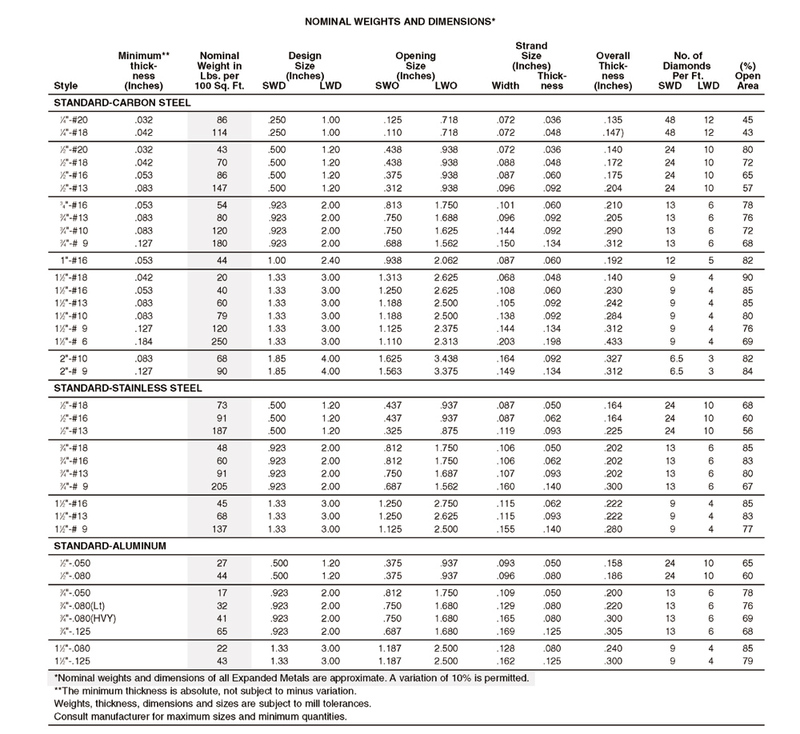 Sheets are expanded in the regular form.